Summer has gone and fall is ending, which means you need to brace yourself for the winter chill. If you haven’t prepared yet, it’s not too late to make some small, cost-effective home improvements. 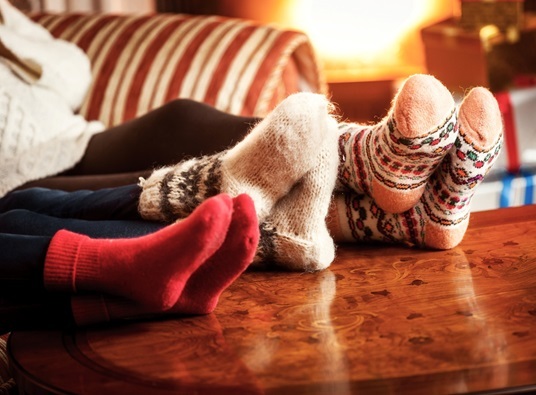 Winter is best enjoyed inside warm and toasty living spaces, after all. Your reliable handyman in Manassas, VA, Peak Roofing Contractors, lists the ways you can maintain the comfort and energy efficiency of your home this cold season. One of the first things you can do is to consider the central needs of your home. Should you weatherize or winterize your home? These have basic differences between them. Weatherization includes projects that seek long-term improvement of your home’s comfort and efficiency. For instance: you can apply caulk around windows or replace weather stripping as lasting solutions to air infiltration. Winterization, on the other hand, includes less costly and less permanent tasks you can carry out in fall to ready your home for winter, like using temporary rope caulk around windows to reduce drafts. 1. Siding Replacement — Cold and moisture can easily seep into cracks and gaps in your siding, leading to weakened walls, foundation, and mold and mildew. Sealing these openings may be easier, but when your exterior has already sustained extensive damage, replacement is the better and lasting solution. For this, you’ll need the top choice for siding contractors in Manassas, VA, Peak Roofing Contractors. We offer insulated vinyl, fiber cement, and shake siding to protect your home better from cold and moisture. 2. Roof Replacement — You’ll want a roof system that can easily shed snow and prevent ice dams from forming. Before your old and failing roof compromises your quality of life, turn to a trusted GAF Master Elite™ roofing contractor like us for quality replacement services. 3. Window and Door Replacement — Airtight windows and doors prevent costly energy loss, so make sure to choose ones that use high quality, durable materials and Low-E glass. We carry the top window brands for this service, including Paradigm, Atrium, and Mastic. All of these projects can dramatically reduce your heating bills while also keeping your rooms pleasantly warm this winter. When you choose us for your home improvement needs, we’ll help you maximize your home’s comfort and energy efficiency. Fill out our online form today for a free estimate.